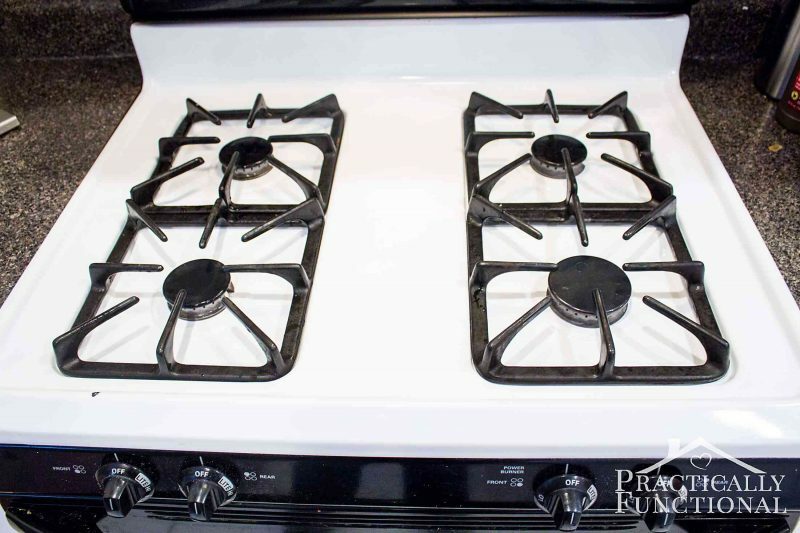 Learn how to clean a stove top with hydrogen peroxide and baking soda; even the cooked on gunk comes off with a little scrubbing! 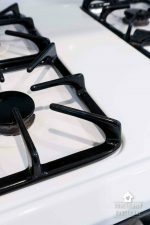 I’ve been on a major cleaning binge lately (check out how to clean inside your stove and how to clean stove top grates), so I finally decided to tackle the stove top. We try to keep the stove top clean by wiping it down after we’re done cooking, but sometimes stuff just gets baked on and it won’t come off! 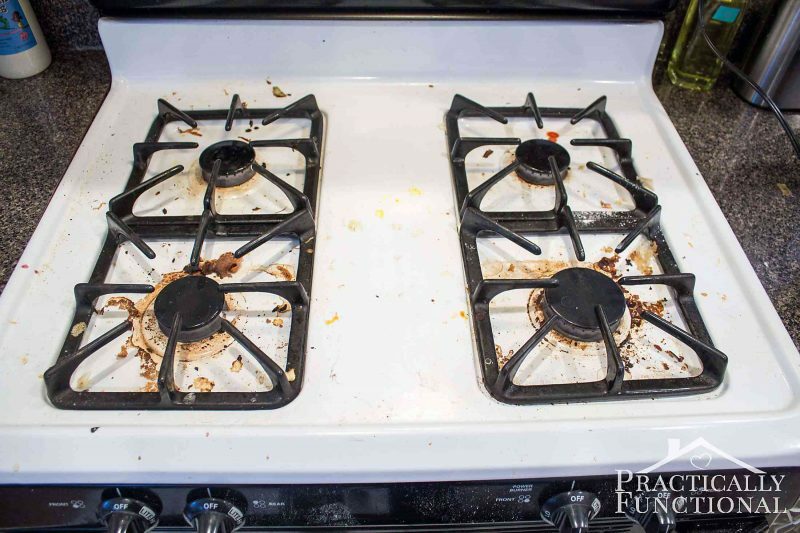 I tried cleaning the stove top when we first moved in, but there was some baked on gunk that just wouldn’t budge no matter how long I let it soak or how hard I scrubbed. But this time I tried a new trick, and the baked on gunk came right off! (I still had to let it soak, and scrub at it; this cleaning trick is pretty amazing, but it isn’t straight up magic!) 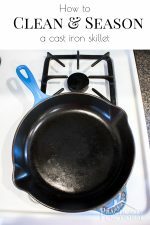 So if you need to clean your stove top, try this; it worked for me! I’m so thrilled with how clean it got; the stove top is pure white again! And all it took was two ingredients I already had in the house, plus a bit of scrubbing! 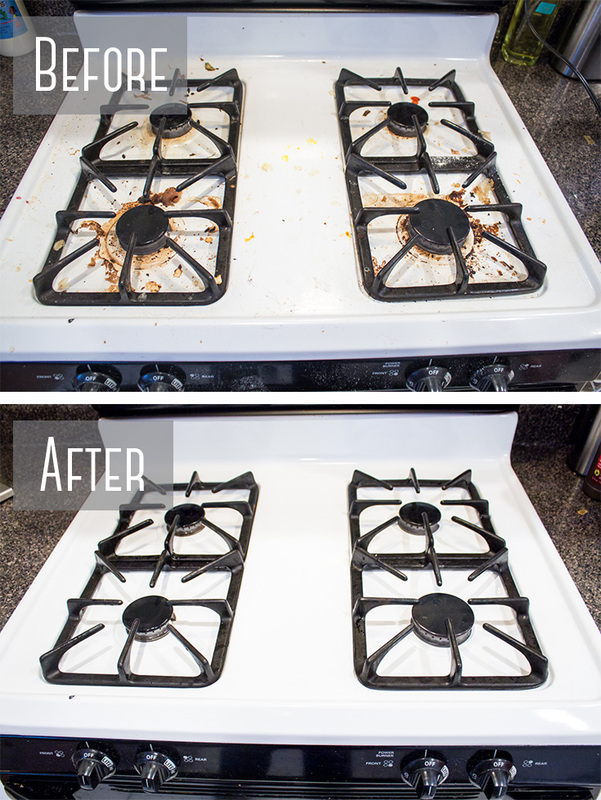 Our stove top was really dirty before I cleaned it! I wiped down the entire thing with soap and water and scrubbed at the stubborn spots, but there was still a bunch of gunk that had been baked on around the burners that just wouldn’t come off. But don’t worry, that stuff comes off! 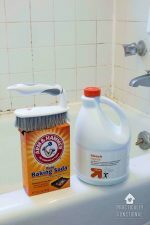 To make your cleaning mixture, pour about a half cup of baking soda into a small bowl, then slowly add hydrogen peroxide, mixing until it forms a slightly runny paste. 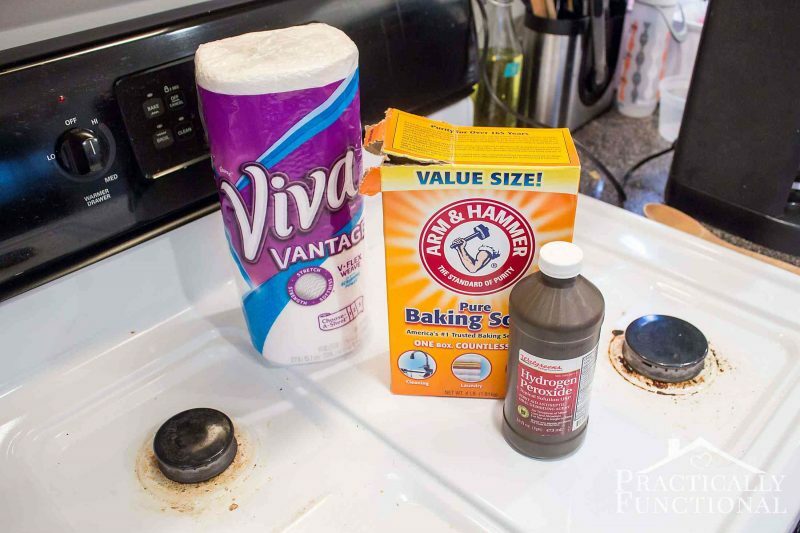 Pour some of the paste out onto the stubborn spots on the stove, grab a Viva® Vantage® towel, and start scrubbing! 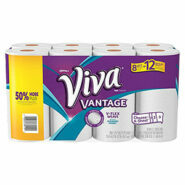 The Viva® Vantage® towels have a scrubby texture, kinda like terry cloth, so they work great for scrubbing the stove top. Plus they’re strong and durable, like cloth, so they don’t disintegrate when they get wet, which makes them great for cleaning! 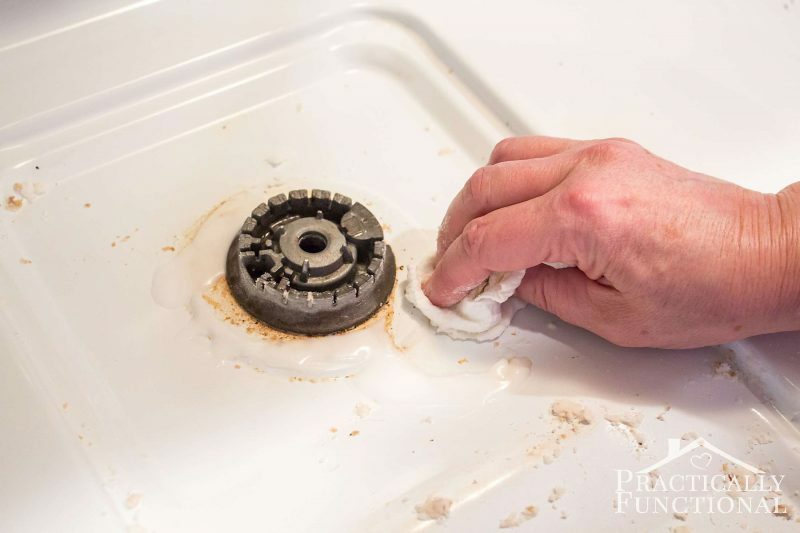 The gunk and stains should start to come up right away as you scrub! 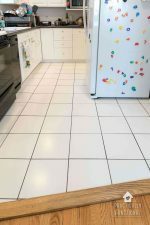 If you have some super stubborn stains, pour a little more of the paste mixture onto the spot and let it sit for about ten minutes. Then come back and try scrubbing again! In some spots we had to leave it soak a few times, and REALLY scrub at the stains, but eventually the combination of soaking and scrubbing worked, and our stove top came completely clean! Looks amazing lady! Love it. I know those Viva towels are super strong for such a job. I will use your method next time to clean my stove! I found using a toothbrush works very well. Be sure to mark the handle “Cleaning”. Was just about to give up trying to get all the stains off. All the money you spend on special cleaners. 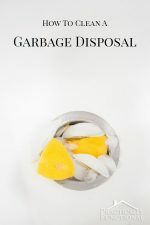 Googled how to clean burned on food and found you !! 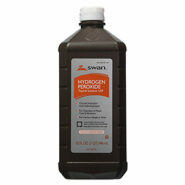 The baking soda and peroxide are miracle workers !! My stove is once again stain free. Thank you so much for your tip !!! Awesome, I am so glad this helped! 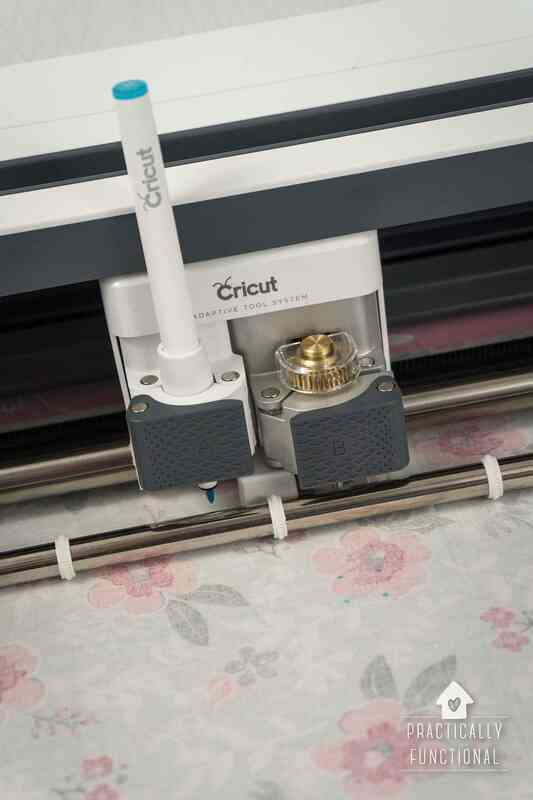 Can this be used on stainless steel cooktop? Yep! Just make sure you use a soft rag to do the scrubbing so you don’t scratch the surface. Great tips, can’t wait to try on my own dirty stove! How long would you recommend waiting after cleaning to use again? 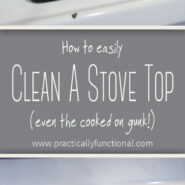 I just tried this and my stove looks even cleaner than when I moved in! Thanks so much for this tip, i didn’t even have to scrub hard, the gunk just lifted up. I am so glad this worked for you! 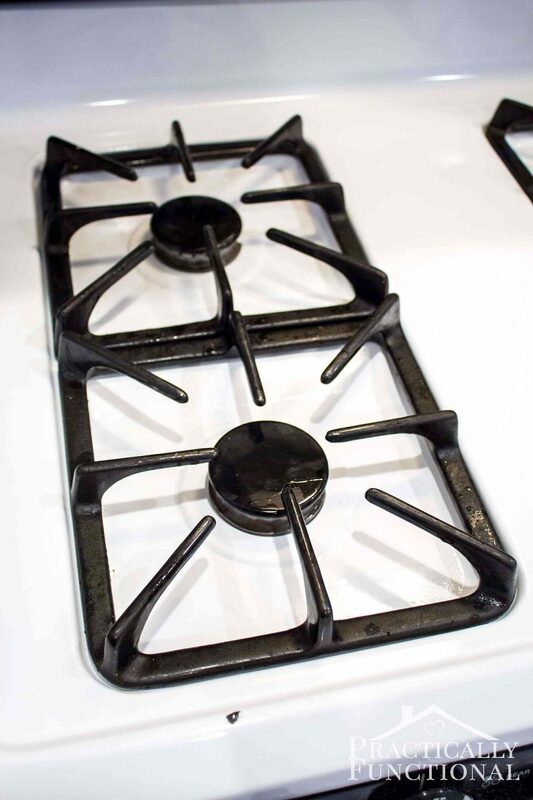 Is this safe to use on a black enamel stove top? Will it take the color off? 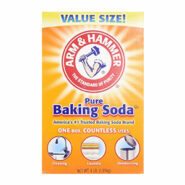 It’s totally safe, as long as you don’t use an abrasive scrubber! Just use paper towels or something else soft; it’s safe on enamel unless you use steel wool or something like that because it could scratch the surface. 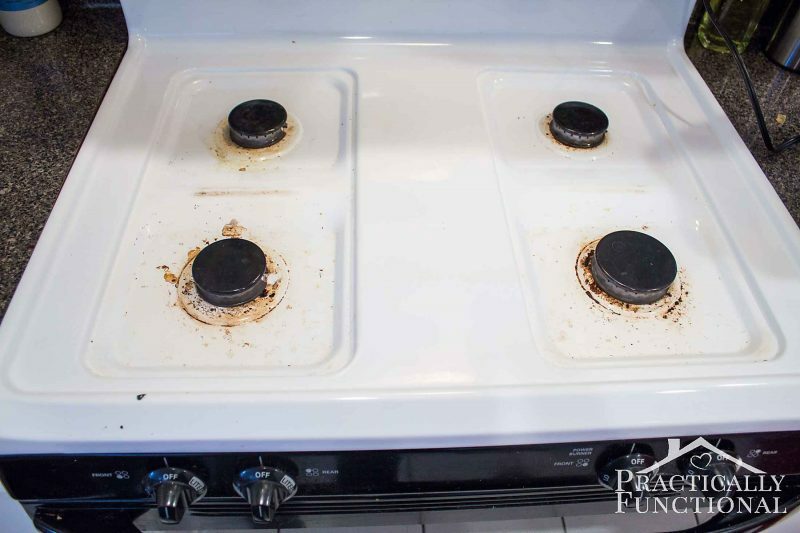 Thanks for the tip I’m so happy I found you I bought a new top stove and after using it for a week it got really grease and and it looks like I bought it 2 years ago , I tried your way and it worked great thanks a million my wife is happy now. On my fixed gas elements I wrap undiluted ammonia soaked paper towels around themand let them sit for 20 to 30 minutes and the gunk just wipes away. Must use good quality paper towels with this method. 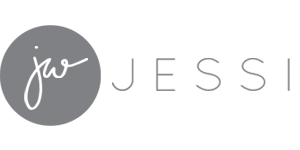 Viva works best for me.